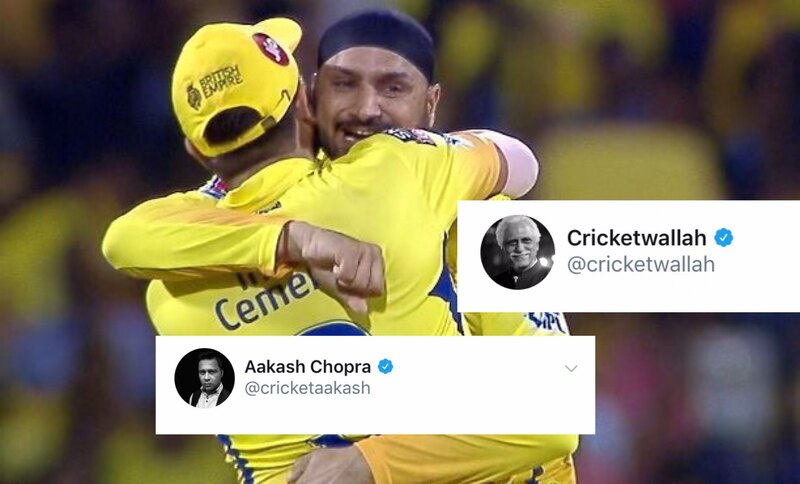 Two giants of Indian cricket were up against each other. At one end, there was MS Dhoni, the most successful captain in IPL history leading Chennai Super Kings at home. And at the other end, Virat Kohli, the leader of Royal Challengers Bangalore led his side’s visit to Chepauk. A tight contest would have been the ideal way to begin the IPL 2019. But CSK was all over the opposition. Dhoni, after winning the toss, elected to bowl as he was unsure what the surface would offer. But it took him just one over to judge it. On a slow surface, he introduced Harbhajan Singh early into the attack. The off-spinner repaid the faith by accounting for the wickets of Kohli, AB de Villiers, and Moeen Ali. The early losses dented the progress of RCB innings. To make matters worse for the visitors, Imran Tahir claimed 3 wickets while Ravindra Jadeja too bagged a couple. The misery of RCB ended in the 18th over as they were bowled out for just 70. Parthiv Patel, who had opened the innings, was the last man to be dismissed for 29, the top score of the innings. RCB too went in with the strategy of bringing in spin early. Yuzvendra Chahal opened the bowling attack and in his second over, castled Shane Watson for a duck from 10 balls. Moeen Ali too bowled in the powerplay and chocked the scoring. CSK’s score labored to 16/1 at the end of the powerplay. Ambati Rayudu and Raina absorbed the pressure for a while and punished the bad balls. Suresh Raina departed after scoring 19 from 21 courtesy Moeen. But RCB was confined with just 2 spinners in the side. Once they were negotiated, there weren’t too many troubles for the batsmen. Ultimately, the hosts chased the target down rather comfortably with 2.2 overs to spare. My story every season – C'mon RCB, C'mon RCB, … a week or two later … er… C'mon CSK.